Units of the army and the popular committees stopped mercenaries of the Saudi army on al-Shbakah in Jizan sector. 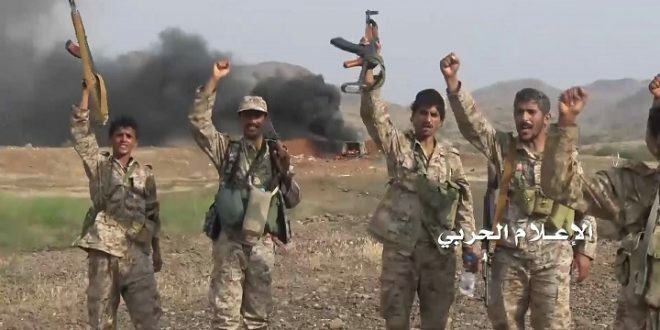 A military source told SABA that the number of mercenaries of the Saudi army were killed and wounded during the break of units of the army and the popular committees to an attempt to advance al-Shbakh off Jizan. The source pointed out that the mercenaries suffered heavy losses during their attampet without achieving any progress.